HomeKingdom Hearts 3 (KH3)What are the Best Weapons in the Game? Kingdom Hearts 3 (KH3) - What are the Best Weapons in the Game? 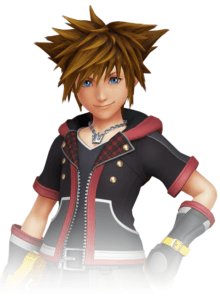 Among the most common questions players ask in each Kingdom Hearts is “What are the best weapons in the game?” We detail each of the most powerful weapons available for Sora, Donald, and Goofy, as well as ways to obtain them. The Ultima Weapon is the best Keyblade in the game, boasting impressive stats and abilities to complement Sora‘s role as the party’s main damage-dealer. Obtaining the Ultima Weapon is no simple task, though. It requires a ton of rare materials to synthesize. To obtain the Ultima Weapon, you need to obtain 58 kinds of synthesis materials via the Collector’s Goals. A complete walkthrough to obtain the strongest Keyblade can be viewed here. You can check out the stats for the Ultima Weapon here, as well as the required materials to forge it. You can also view a list of Keyblades along with their stats and abilities on our Keyblades list. Donald‘s iconic weapon from the past games returns in Kingdom Hearts 3. 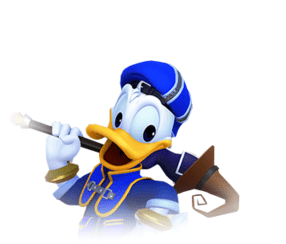 It is imbued with a number of abilities that boost Donald’s magic-based style of combat. To obtain the synthesis recipe for Save the Queen, you need to collect 55 kinds of synthesis materials via the Collector’s Goals reward. To see a list of staff weapons in the game, go to our Staves List. 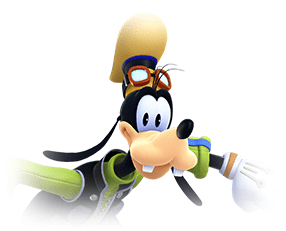 The best shield for Goofy is Save the King, which boasts considerable strength to complement Goofy’s front-liner style of combat. To obtain the synthesis recipe for Save the King, you need to collect 55 kinds of synthesis materials via the Collector’s Goals reward. To see a list of shield weapons in the game, go to our Shields List.